Whitney’s family has been going to Martha’s Vineyard for generations, so it was an obvious location choice for her wedding. Staunchly against any kind of event that felt preppy or cookie cutter-ish, she held all of the festivities up island. “It is much more pastoral and bucolic,” she says. “I love how there are stone walls in fields that go right to the ocean, surrounded by old trees, beautiful lighthouses, and cottages. 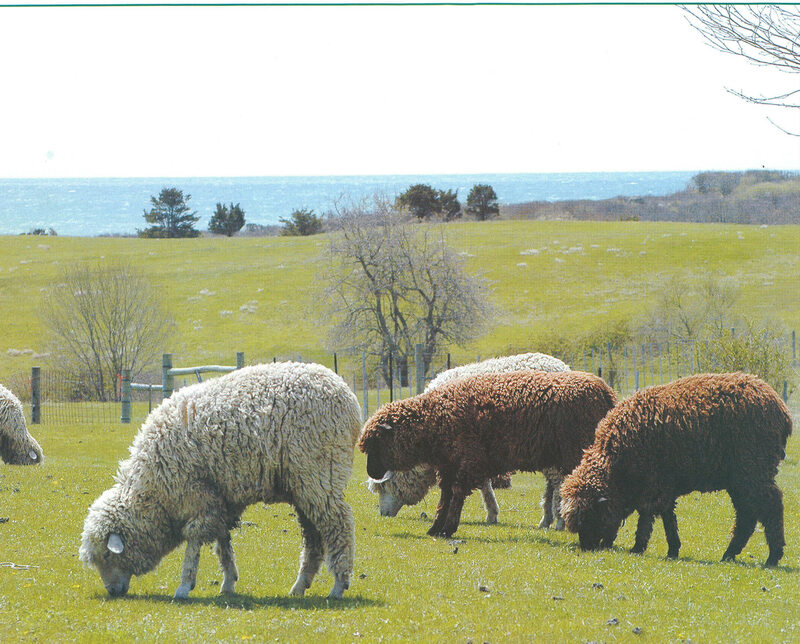 I wanted the vibe to be laid-back and natural, and not take away from this stunning setting where horse fields meet the beach.” Having driven by the Allen Farm for years on trips to Aquinnah, she always thought it was the most picturesque spot on the island. 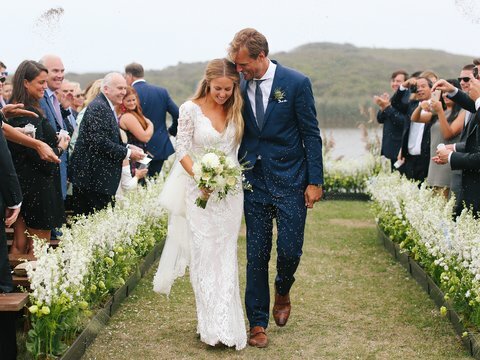 “I loved the idea of the wedding party spending the day swimming and having fun at the beach in front of the farm, then glamming up for the big event later that night,” she says.